UFO SIGHTINGS DAILY: UFO Cloaked In Clouds Over Cape Town, South Africa On Nov 7, 2015, UFO Sighting News. 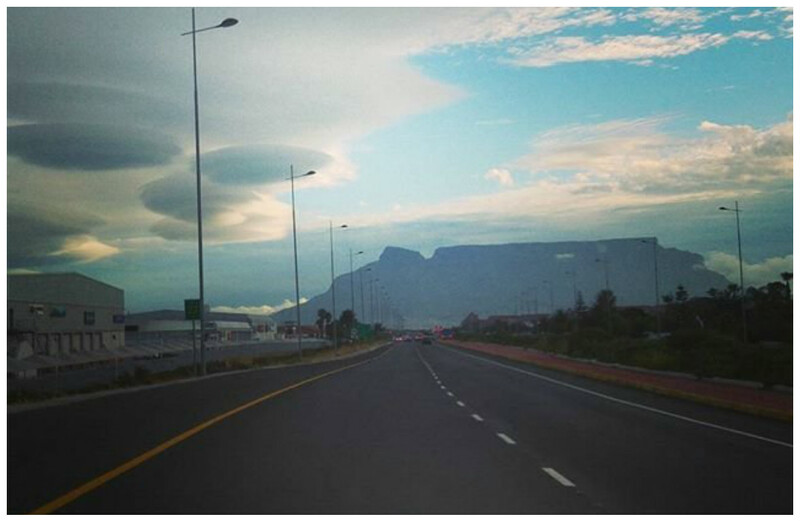 UFO Cloaked In Clouds Over Cape Town, South Africa On Nov 7, 2015, UFO Sighting News. These are a fleet of UFOs hiding inside of their self made clouds. Its a well known fact that UFOs have been recorded (US military record) creating clouds around themselves in just under 1 minute. Back in 1957 a solider at Fort Belvoir recorded such an incident. Click here to view his photos. Just clouds...LOL, I think not. My biggest UFO sighting was 20 years ago when I was in Rapid City, SD. It was 25+ 727 size Glowing UFOs at noon, traveling down cloud tunnels that started over our parking lot and disappeared over the horizon. I got to see the UFOs begin their journey. They used four side by side cloud tunnels to hide in. (CNN) If the lights seen on Saturday night in Los Angeles weren't enough, another brilliant show was seen in the skies above Cape Town, South Africa the next day. 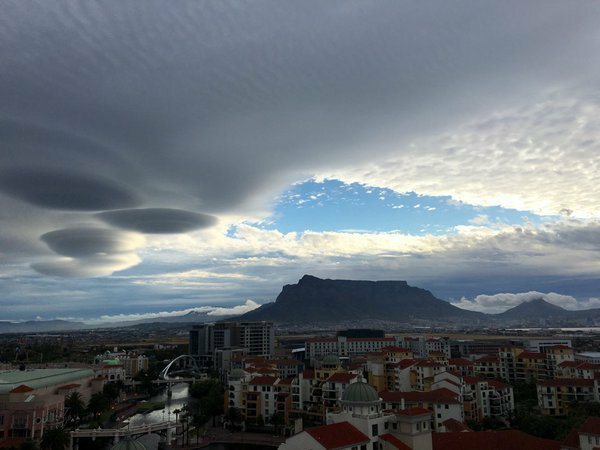 Residents of Cape Town saw brilliant and beautiful cloud formations in the daytime sky on Sunday. Just like Los Angelenos, some compared what they saw to UFOs. 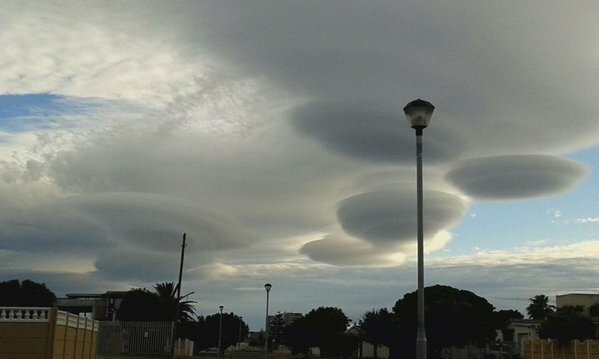 "There were just these massive UFO type clouds and they became more defined as time passed," said Monique Jackson. (More at source).